Watch The FJ Company’s full restoration of a classic Toyota | Car News, Reviews, & Pricing for New & Used Cars. 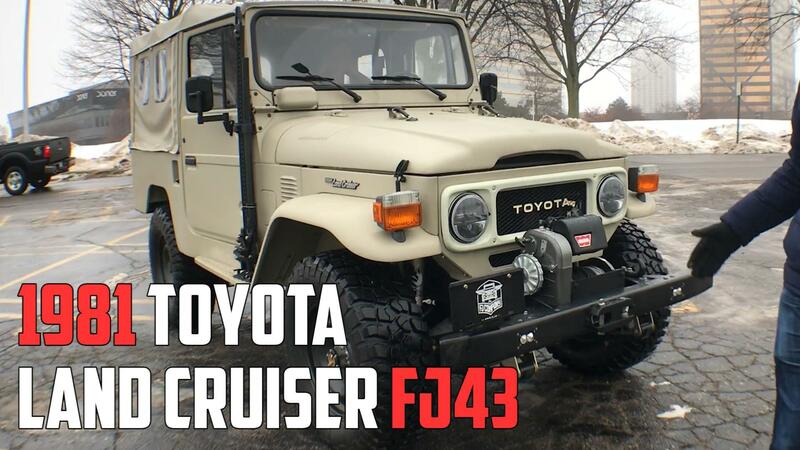 We’re big fans of The FJ Company here at Autoblog. The outfitter builds some pretty sweet restomod Toyota off-roaders. Late last year, we were lucky enough to drive a 1981 Toyota Land Cruiser FJ43. It was a big dose of nostalgia right to the pleasure centers of the brain. While that particular FJ — the company’s Signature model — would set you back at least $200,000, The FJ Company does offer vehicles with less eye-watering price tags. No matter the cost, each model is painstakingly and meticulously restored and modernized. The video above goes through the entire build process. These truly are restored classics. The frame and steel bodywork is all original, though both have been overhauled and cleaned to perfection. Classic looks are complimented by a number of modern upgrades. Non-Signature models get a rebuilt version of a Toyota 2F inline-six. The Signature gets a new 4.0-liter Toyota V6. Each model is equipped with a new Toyota five-speed manual, power steering, disk brakes up front, Old Man Emu suspension and Vintage Air climate control. Each one also gets a full roll cage. Beyond that, it’s all up to the customer. The FJ Company’s website has a pretty extensive configurator. Options include bucket seats, a painted hardtop, new lighting, a winch and much more. You could lose track of time perfecting your dream FJ. We definitely have.